Best wishes to the Indian national team fan group "Blue Pilgrims"
The “Blue Pilgrims” have established themselves as the leading fan group in support of the Indian national team. Be it at home games in India or at the AFC Asian Cup UAE 2019 – the “Blue Pilgrims” were there to support the “Blue Tigers” with great choreographies, banners and chants. 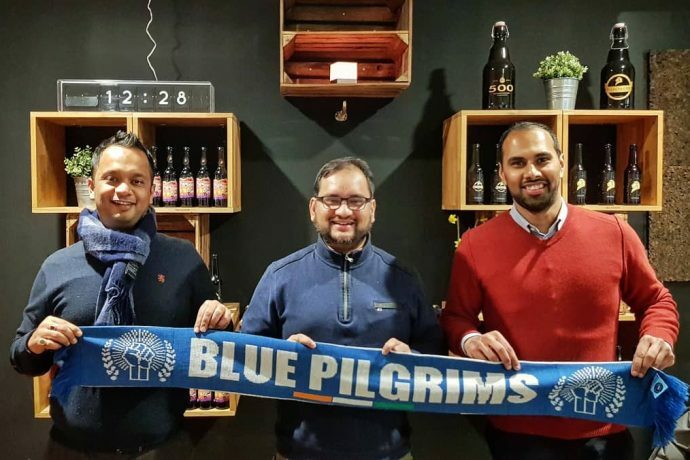 Krish Roy, Arunava Chaudhuri and I would like to thank the “Blue Pilgrims” for their tremendous efforts to further cultivate the Indian football fan culture. Keep up the great job and #BackTheBlue!